A little known fact about me is that I love to bake. I’m not fond of (or very good at) cooking, but I do love baking. It’s so easy. All you have to do is follow the instructions, measure precisely and have patience while your creations rise in the oven. Justine’s mom and sister gave us a beautiful KitchenAid Professional Mixer this past Christmas and it has been life changing for baking. You can literally just throw the ingredients into the bowl and voilà- you have a perfect batter! One of the baked goods I’ve been making a lot of this year is banana muffins. Perhaps it’s because we keep neglecting our bananas until they’re over ripened? Regardless, the muffins are delicious, convenient and they do solve our brown banana epidemic. The recipe I use is ridiculously easy. It’s not complex and doesn’t require a lot of ingredients. However, the result is a perfectly moist, yet dense banana muffin. 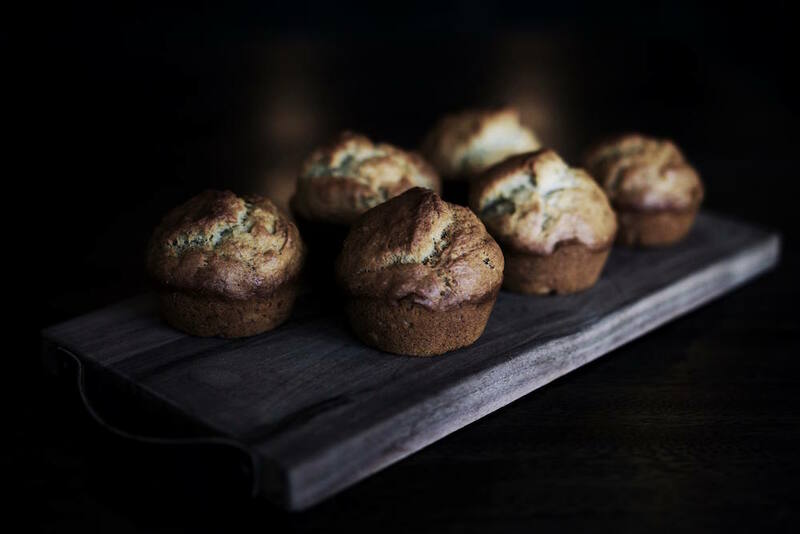 This recipe makes 10-12 muffins and should only take you about 40 minutes total (10 minutes prep, 30 minutes in the oven). In a large mixing bowl, mix the melted butter into the mashed bananas. Add the baking soda and salt, and stir to combine. Add the flour and mix until just incorporated. Don’t over mix! The less you disturb the batter at this point, the fluffier your muffins will turn out. Bake 25-30 minutes until golden brown. To test if they’re ready, stick a knife into the center of one of your muffins and if it comes out clean, they’re ready! 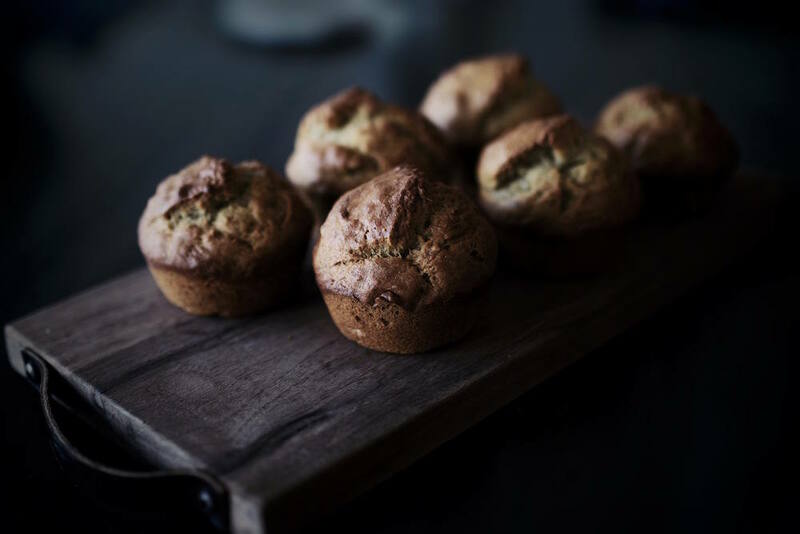 Carefully remove the muffins from the pan and allow them to cool on a cooling rack. Next time you have bananas that turn brown, give this recipe a try! And if you do, I’d love to know your thoughts and how your muffins turn out. Happy baking! Sounds extremely nice, I’ll give this one a try when I have some spare time and the ingredients lying around. Thanks!